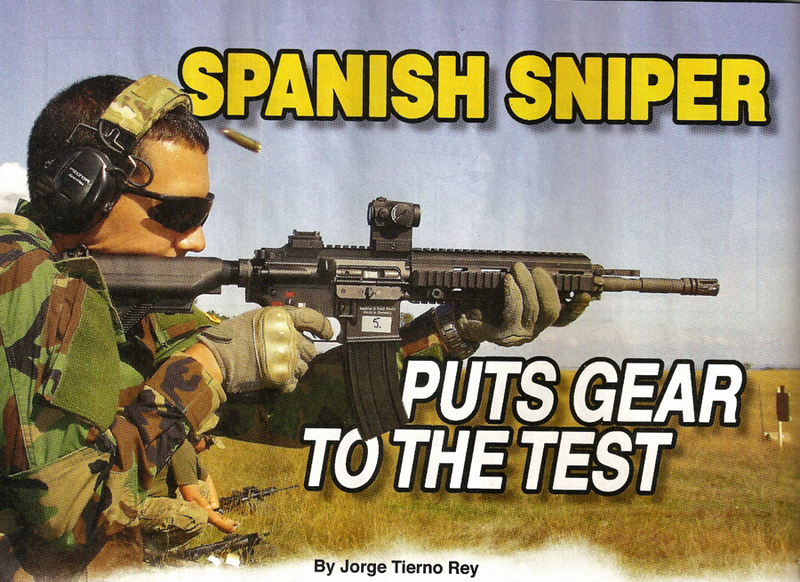 Just got the new June issue of Soldier of Fortune in the mail yesterday and couldn’t help but notice a couple pictures of a Spanish Marine at an Aimpoint sponsored live fire with one of the Peltor Hearing Protection Covers. Hey who would have thought? Thats awesome!! Nice! Now we only need those Micro to arrive here for less than 800€ each so we can buy enough of them. That’s right, brother! Price is fair. Cheaper than other European dealers. Spaniard, you are fully wrong about price. You can get a CompM4s for less than 600 € directly from Andreu Soler I Associats (Aimpoint Spanish dealer). Contact me if you need help.